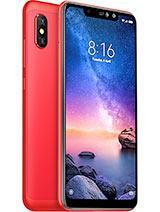 Prize: Xiaomi Redmi Note 6 Pro smartphone and Mecool KM8 android TV Box The 1st prize is shipped worldwide. Statistics: This contest was opened by 161 and entered by 21 ContestChest.com members. 13% of those who opened the contest, entered it.